The” avatars” in the area of electro-gravity research for the last 200 years can be seen below. Please take note of the references to different types of induced electric fields with unique properties. This is contrary to traditional Physics that believe there is only one type of electric field. 1831: Michael Faraday discovered the law of induction from changing magnetic fields, around the same time as Joseph Henry. 1861: James Clerk Maxwell discovered the mathematical laws of electromagnetism, building on the work of Faraday. Maxwell drew attention to Faraday’s Law that describes two different phenomena (motional and transformer EMF). He mentions this fact in his paper On Physical Lines of Force in the latter half of Part II of that paper. Maxwell also gives a separate physical explanation for each of the two physical phenomena. Here is an actual digital copy (pdf) of Maxwell’s old paper from 1855. 1895: Professor and Noble Price winner Hendrik A. Lorentz, from the Netherlands. Sir J. J. Thomson, James Clerk Maxwell, Oliver Heaviside and Hendrik Lorentz all worked on the electromagnetic force equations around the same time. However, Hendrik Lorentz derived the modern form of the electromagnetic force equation (Lorentz Force), which includes both the electric and magnetic forces (Laplace force). 1905: Albert Einstein – Special Theory of Relativity: On the Electrodynamics of Moving Bodies (pdf). In the first paragraph of Albert’s paper, he reflects that the current Maxwell electrodynamic theories of magnet vs conductor leads to asymmetries in understanding. He says there should be no such difference in the physical phenomena; it is simply a matter of relative motion and frame of reference. In other words, what appears as an electric field will appear as a magnetic field in another frame of reference for the same experiment. 1929 Dr. Thomas T. Brown claims to have found gravitational control through charging asymmetrical capacitors. In the 1950s Dr. Brown got the attention from aerospace companies and the military. Some of his research during that time may have been classified so we may not have all the latest public research findings. 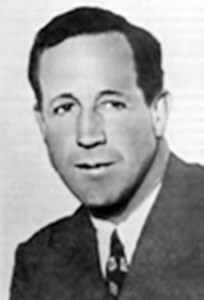 Dr. Brown passed away in 1985. “How I Control Gravitation,” in Science and Invention T. Brown claimed the capacitors were producing a mysterious force that interacted with the pull of gravity. There is some controversy around the cause of the force around T. Brown capacitors. Some argue that the lift is just due to ion-wind and that the capacitor “force” will disappear in a true air vacuum chamber. Research by N. Rognerud seems to indicate through his own experiments that there is a strong kinetic force on objects in a divergent electrical field. These experiments can be seen in this video below. Further experiments are in the works to test if a divergent electric field will produce self-lift on the entire system of capacitor plus dielectric materials. I find it is easier to call the motional EMF simply as a ‘dielectric field’. Hooper was also a believer in that there are two types of induced electrical fields, just like Maxwell and Feynman. Hooper says there is an electrostatic electric field as well as the motional and transformer type electric field. He also says the motional electric field (the dielectric field) has unique properties and that it is not shieldable. 1987: Floyd “Sparky” Sweet was an electronics engineer in Southern California that created an over-unity Barium-Ferrite magnetic solid-state energy generator. Not only did he receive threats to his life, but he claims his device lost 90% of its weight when running a large load on his device. He worked with John Bedini, Tom Beardon, and W alter Rosenthal, but he was paranoid about not sharing the details of how his device worked. Tom Beardon did not appear to understand how the device worked – and he was unable to replicate it. 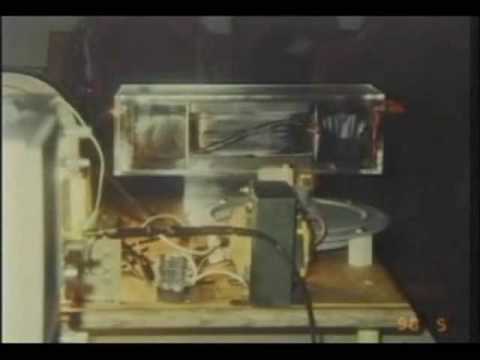 However, Beardon made plenty of theories around the device and even renamed the device VTA (Vacuum Triode Amplifier). The Floyd Sweet Device has nothing to do with vacuum triodes or amplifiers. 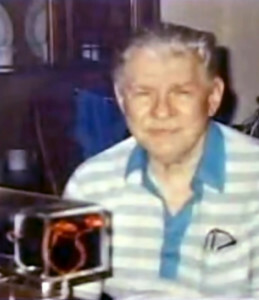 Floyd Sweet claimed his magnets were processed through a ‘secret method’ and the invention never made it to the public domain, for a number of reasons. It in interesting that Floyd Sweet wrote a great paper about the motional electric field. He also says the field is non-shieldable, similar to that of Gravity. In this paper, F. Sweet talks about the BxV field (dielectric field) – which is actually the Laplace force from the Lorentz Equations. This paper is largely ignored by the Floyd Sweet fans that are trying to replicate his device. Perhaps they do not understand the BxV physics phenomena or the mathematics from the BxV field from the Lorentz Equations. However, this paper has the most interesting information written by Floyd Sweet about his device. It also aligns well with Rognerud’s work on the BxV field effect as a possible explanation for Gravity, in addition as a possible way to ‘harness energy from atomic motional electric fields’ from the Barium Ferrite domains. electromagnetic forces.This paper is a review of the problem of the observable action of gravitational forces on charged particles. The paper also proposes how to understand Gravity as a divergent electromagnetic Lorentz Force (or Laplace force) from orbital electrons in all matter. 1995: NASA experimental tests of the Hooper Coil. The results were negative i.e. 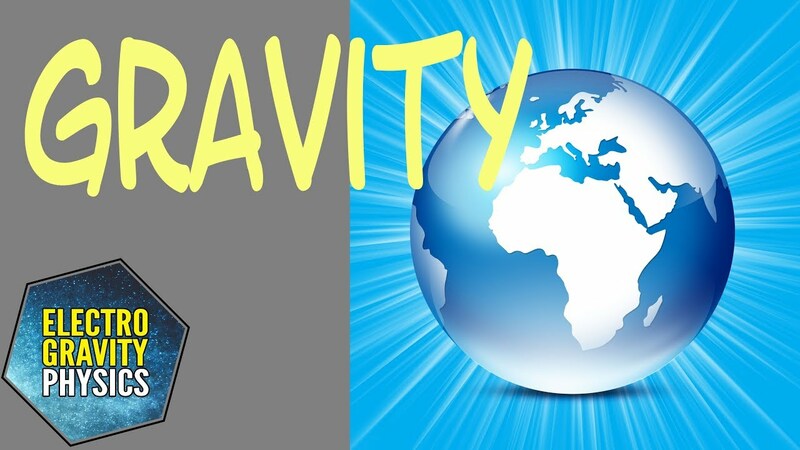 no gravity effects could be measured. This is actually as expected since the coil design in the NASA experiment and test object location used are incorrect. 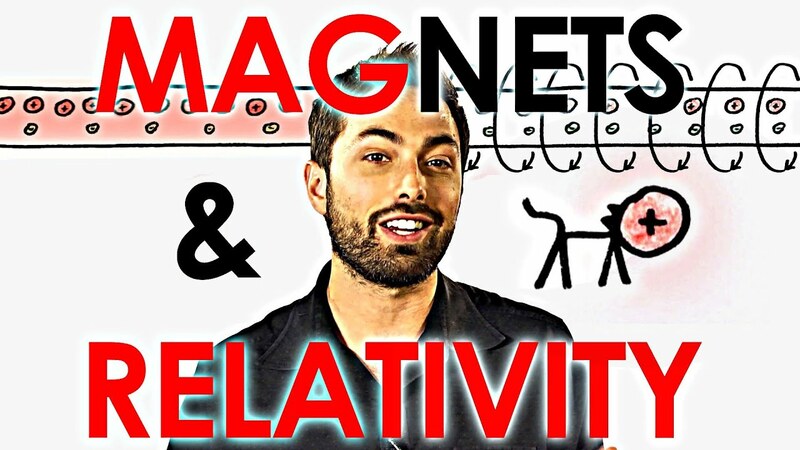 To see electrogravity effects one must use1) a coil design that generates ‘divergent’ Laplace Force fields, and 2) place the test object in the most divergent part of the force field. 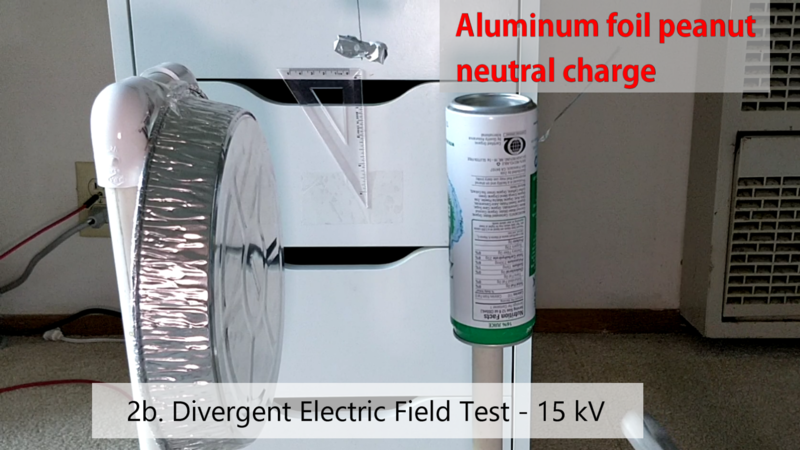 In addition, the drift velocity of copper wires is so low that it is almost impossible to produce any measurable gravity effects – even with strong electric currents and many turns of wire. A better way to produce stronger Laplace forces – according to Mr. Rognerud, are with motional plasma or moving cross-cutting magnetic fields. 1999: Dr. Ning Li did some interesting theoretical and experimental work on interactions of superconductivity and gravity. Regrettably, she has not published any research since 1999. There is some speculation that she is working on secret programs for the Department of Defense. Ling Li was working at the University of Alabama on a project with Department of Defense until 2002. It appears she then started working with Boeing Co. through her company AC Gravity Inc. Nobody seems to know where she is working nowadays. 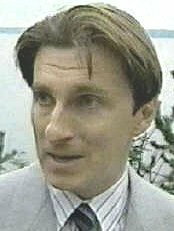 2006: Podkletnov – Dr. Eugene Podkletnov has published a series of scientific papers detailing the experimental results of what he called an “impulse gravity generator“. The device reportedly produced hundreds of pounds of gravitational force in a non-diverging beam, capable of “punching holes through concrete and warping metal like hitting it with a sledgehammer”. Podkletnov further added that this beam produced no recoil on the superconducting emitter itself. Download the interview and drawings (PDF format) with Dr. Eugene Podkletnov of this exciting breakthrough. If confirmed, it is an amazing piece of research. Tom Valone claims the Roschin & Godin device was funded by Dept. of Energy and cost several million dollars to build. 2016: BBC did a great documentary on gravity and astrophysics research. They talk about some of the movers and shakers in the Physics and electronics world.